​CB radios, also known as citizens band radios, are designed for short-distance communication. They're commonly used by truck drivers, but the best CB radio is the one that fits your unique needs. 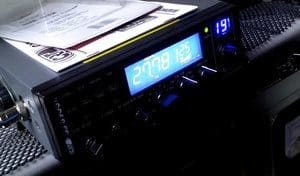 The market for short-distance radios has grown in recent years, and there are some advanced features that make communicating with your local area easier and more entertaining. It's difficult to identify the best CB radios if you aren't familiar with your options, but the CB radio reviews in this guide will help you make an educated buying decision. 3.1 Do I Need a License to Use a CB Radio? 3.2 How Many Channels Does a CB Radio Feature? Are you ready to select the best CB radio? Our reviews will give you the information needed to do just that, including the pros and cons for some of the top CB radios on the market today. 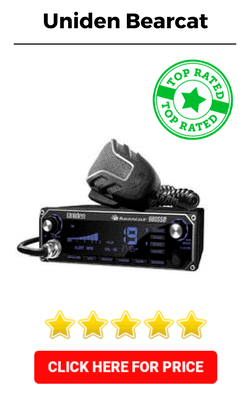 We wanted to include the Uniden Bearcat in our CB radio reviews because it has several features that ensure clear reception. Start with RF gain control, which allows the radio to filter out static caused by atmosphere interference. It continues with auto noise limiter, noise blanker and a noise-cancelling microphone. You also have the option of replacing the microphone with the BC906W cordless microphone. This is an added expense, but the Bearcat is one of the more affordable CB radios. You can generally find it in the $100 range. We were also impressed by the large display, which allows you to select between seven colors for the backlighting. Admittedly, the backlighting is a bit dim in daylight, but it is adjustable. We also admit that the build quality isn't the best, but we still consider it one of the top rated CB radios for beginners or those with a limited budget. It offers some advanced features that boost the reception clarity above lower-quality radios, and it comes with built-in diagnostics to check your battery, antenna and other stats. While not every user will appreciate the compact design of this Midland 1001Z radio, we're including it in our reviews because we consider it one of the best entry-level CB radios on the market right now. It's small and cute, and that makes it easy to install in most vehicles. The compact design doesn't reduce the quality of transmission or reception. It comes with RF gain control, which is a feature that automatically adjusts the sensitivity in response to interference in the surrounding environment. The result is clear reception with less static. What you do sacrifice with this smaller CB radio is the large display that comes with some competing radios. The display on this unit only shows your current channel number, but that is all many beginner CB users really need. 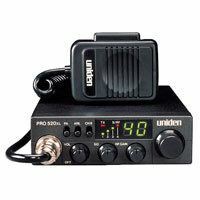 We recommend the Uniden PRO520XL model as a very good CB radio for those on a tight budget, but there are some limitations. It's not easy to see some of the most important buttons in the dark due to a lack of backlighting, the speaker isn't the highest quality and there is no scan feature. The range is also unimpressive when compared to higher-priced CB radios, but this is still a good buy for beginners or those who don't have $100 or more to spend. It sells for less than $70 even at full retail price, and you can often find it for less than $50 online. The positive features include instant connections to channel 9 for emergency broadcasts and a front-mounted microphone that allows you to turn the radio into a public address system. It's also equipped with auto squelch and noise silencing, which allows you to cut out the static for clearer reception. You may consider the Cobra 29 LX one of the best CB radios due to its reasonable price, but it's the large display that first grabbed our attention. It allows you to see all radio functions without scrolling, and you can choose between four colors for the backlighting. This radio also has an automatic scanning feature. This allows you to scan for active channels without taking your hands from the steering wheel. The radio will stop only when activity is detected. This is one feature typically lacking from radios that sell at lower prices. You also have instant access to 10 NOAA weather channels, alerting you to bad weather instantly. We also like the versatility of this CB radio because you can attach a PA speaker to turn it into a public-address system. The built-in diagnostics in this unit allow you to check your battery voltage and other system stats quickly. This is a mobile CB radio designed to keep you connected while in your vehicle. If you're looking for a mobile CB radio that won't take up a lot of room in your vehicle, you may consider the Cobra 75WXST an excellent CB radio. While most mobile radios include a box that is installed into the dashboard plus an attached microphone, this Cobra CB radio is a handheld microphone that contains the radio fully. This design makes installation much easier and faster. It also allows you to hold your radio in your hand. Keep in mind that this unique design comes with some sacrifices in terms of the display. Since it's built into the microphone, it's much smaller and more difficult to see than displays on other mobile units. This design also demands a sacrifice with the speaker. It's not as clear as some competing CB radios, but Cobra makes up for that with impressively clear reception. CB radios are often considered one step down from ham radios because they're less powerful, but they're all that you need for short-distance communication. They're used by truck drivers and other professionals who spend a lot of time on the highway and need to communicate with other drivers, but you can use them in many other circumstances. If you enjoy taking long road trips or must commute to and from work, a CB radio allows you to monitor emergency channels for advanced warning of bad weather, accidents and other potential obstacles. Many people also consider CB radios a tool for fun and entertainment. From eavesdropping on those truck drivers to chit chatting with hams in your local area, you can easily pass hours or even days on a high-quality CB radio. There are just a few things that you need to know in order to select the best CB radio for your individual needs. Do I Need a License to Use a CB Radio? While licenses are required for ham radios, those rules don't apply to the use of CB radios. Citizens band radios require no registration or licensing, so they're accessible to everyone. There isn't even an age limit for the use of these radios. How Many Channels Does a CB Radio Feature? CB radios are generally assumed to have up to 40 channels, but the range can easily expand to hundreds of channels if you consider the sub-channels, side bands and various frequencies. While more expensive radios generally offer more channels and advanced features features such as SSB, there are some affordable CB radios that allow you to connect with hundreds of channels. Most people identify themselves with a handle when using a CB radio. Think of this like your screen name when communicating through an online forum. If you use your radio often enough, you will start to recognize other users in your area by their voice and their handle. There are no assigned CB channels, so you are sharing the airwaves with everyone in your area. You don't want to talk over others or interrupt ongoing conversations, so time your communications carefully. In general, all users are expected to talk for no more than five minutes for each transmission. Wait a minute or two before sending another message, giving other users a chance to respond. Mobile radios are installed into a vehicle while handheld CB radios can go wherever you go. Which of these radio types you select depends on your intended use. The CB radio reviews in this guide are all mobile units, but you can read reviews of the best handheld CB radios if you prefer a more mobile radio. If you will use your CB radio while in your vehicle only, you may opt for a mobile unit. Handheld radios are better if you need something portable or if you want to use the radio while in your home. After going through our CB radio reviews, do you have your eye on one or two units? Before you make your purchase, we want to highlight two that we consider the best CB radios available right now. For beginners or those who don't want to spend much time installing their radios, we recommend the Midland 1001Z. For buyers who aren't afraid of installation and are more concerned with advanced features, we highly recommend the Uniden Bearcat as the best CB radio.